If you’re like me and just can’t get enough of s’mores this summer, you’re going to love these cookies! They are very easy to make and you’ll want to eat them all in one sitting! I can see myself making these again very soon, as friends have already requested them again! 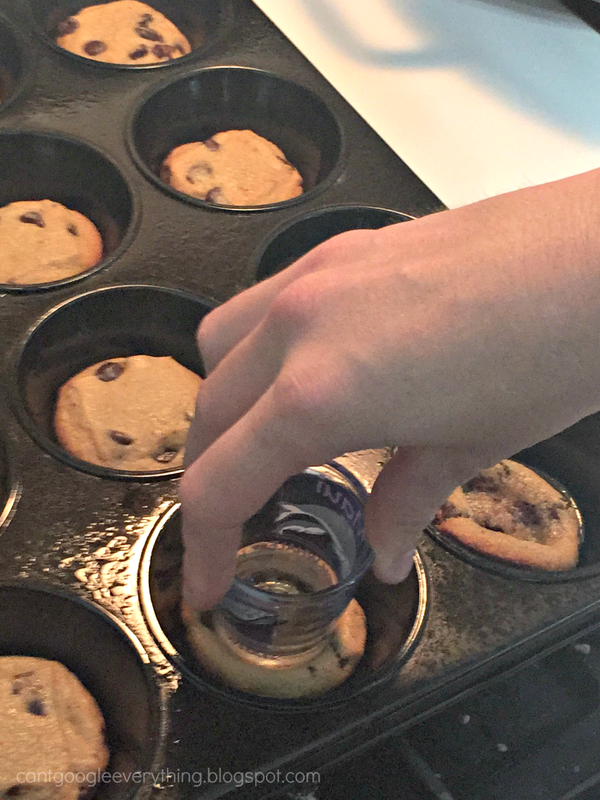 Break apart the first dozen cookies and place each one into a muffin tin. Bake following package directions, maybe adding a minute or two. Usually the directions say to cook on an un-greased pan, but I sprayed mine a little just in case. When the cookies are done, let them cool about a minute. Then, using a shot glass or similarly shaped/sized item, gently press down into each cookie to make a small indentation in the center. 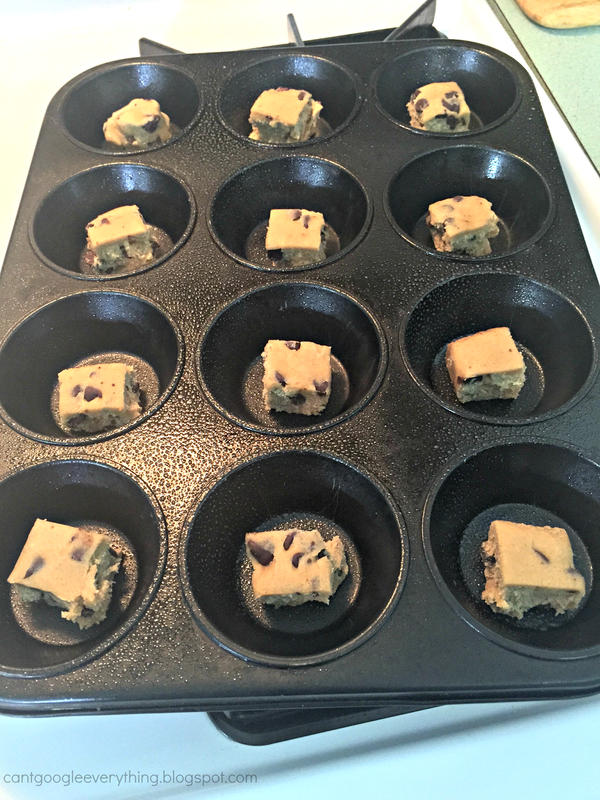 Remove the cookies from the pan and allow to cool fully on a cooking rack. Repeat steps with the rest of the cookies in the package. 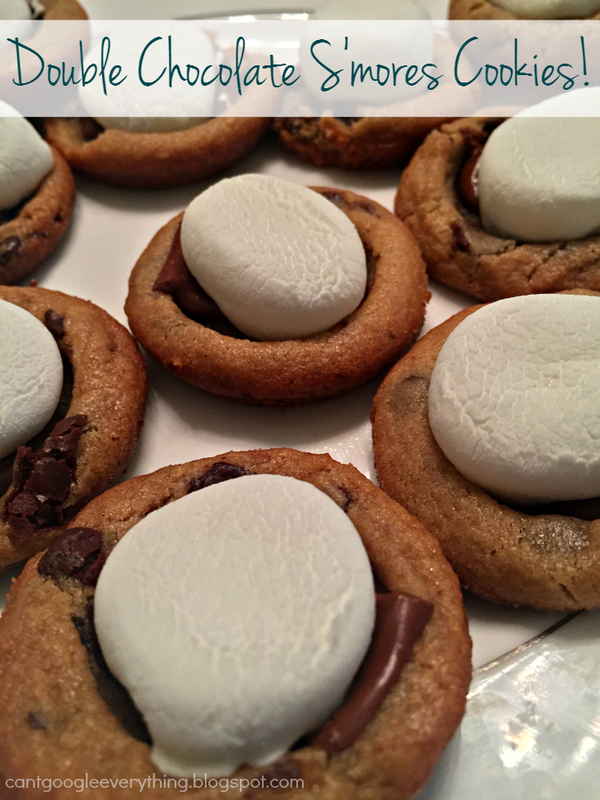 When you’re ready to eat them, add the s’mores part! Place one Hershey’s piece into each cookie. Break the marshmallows in half and place a half on each cookie. Place them all on a baking sheet and cook at 350 for about 2-3 minutes, until chocolate bars are melted and marshmallows start to melt. 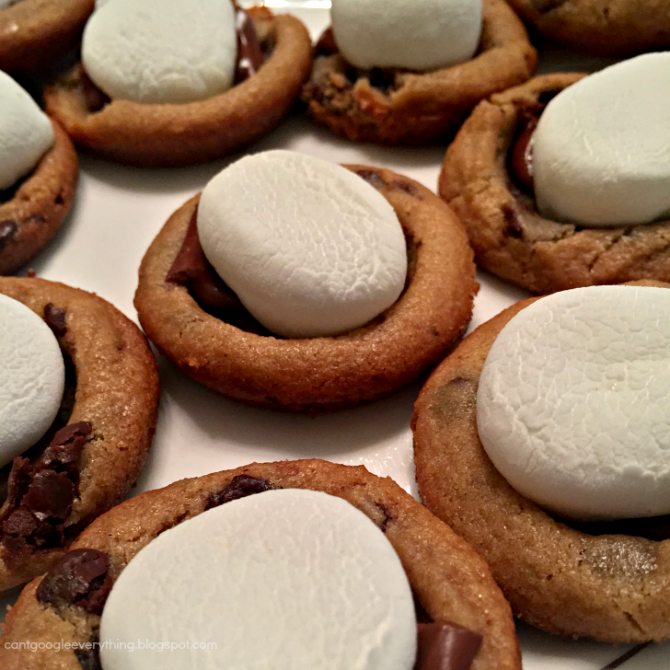 I hope you enjoy my Double Chocolate S’mores cookies! What’s been your favorite dessert lately? YUM! Those look delicious AND they're adorable. These look delicious. Too bad I'm trying to avoid making desserts-only because I'd then eat ALL THE COOKIES. My husband is already addicted to those s'mores things at Starbucks. If I showed him this, he might divorce me and marry the cookie LOL! mmmmmmm, have to try. What a great idea, these look delicious.